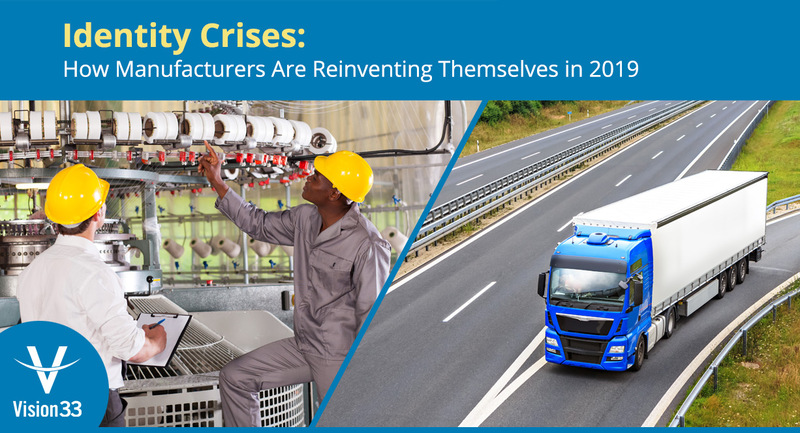 Traditional manufacturing companies are going through an identity crisis. Take for example, a third-generation manufacturer. Somebody’s grandparent built that business on the integrity and trust of their name – a brand that stood for a promise of exceptional service and value to customers. Maybe this company sold widgets, nuts, bolts – something of value, in any case, they would have bought the primary materials required to manufacture their products in a warehouse. But times were changing, cheaper labor became available from overseas manufacturers, attracting the attention of second generations business owners. Moving labor hours to countries like China caused a change in the identity of the manufacturer. The company had now become more of a distributor of the products it once manufactured. This new distributor soon began selling products through a dealer network as they didn’t yet have a sales force to sell the products. Faced with thicker competition and thinner profit margins, this former manufacturer felt it necessary to take more control over their sales process by having their employees sell the products. They were challenged with finding a way to avoid alienating their existing dealer network while balancing a dealer channel and direct sales channel. Before, there wasn’t a vice president of sales, a customer relationship management (CRM) system, commissions, or any division of sales territories. But now the business is in its third generation of ownership and adopting new business identities has become the norm. Online channels offer this company the ability to sell their products directly, adding a third channel to balance. Underlying this identity crises is the need for a business system that can support these new channels while working in harmony with both its dealer network and sales force. Although this business has managed to adapt to change and reinvent itself to meet the challenges of a modernization of businesses in the industry, the same cannot be said for the company’s business system. The legacy Microsoft DOS-based computer terminals, manual paper-based processes, and off-the-shelf accounting software are facing obsolescence and are causing inefficiencies throughout the business because they’re not connected. This puts pressure on the company’s employees to develop unstandardized methods to pass business information from one system to another - all the while introducing errors, data duplication, or other discrepancies in inventory, accounts, margins and more. Running on legacy business management software and paper-based processes of yesteryear leaves businesses unable to keep with the change of today. Adding to the confusion, there's talk of ‘customer portals’ and how these can be used to allow dealers to place orders on behalf of customers. Businesses are feeling left in the dark with so many questions and no clear direction on how to modernize their operations. At Vision33 we’re helping manufacturers and wholesale distributors sort through identity shifts like this, every day. We offer businesses an SAP Business One solution. What exactly is a solution? It’s a broad term that encompasses the implementation of a modern business management software system. But more than that, we’re talking about business process implementation. Moving from manufacturing processes to add new channels, new warehouses, CRM, and new territories requires standardization, controls, and integration between your business areas to enable your business to overcome your biggest challenges. Our consultants will map out your existing business processes and provide recommendations on how to improve the efficiency, workflows, and access reports that you will benefit from as you define your new identity. SAP Business One has the modules your business needs and we have the expertise to explain how to leverage this technology. We can also explain when and why you would use a customer portal, a retail portal, as well as how mobile customer relationship management (CRM) can help your sales force and give a Vice President of Sales what they need to manage their activity. Does your business identify with the scenario of changing identities? If there’s one thing we’ve learned about successful businesses, it's this: Multi-generation business that thrive in today’s digital economy are the ones that maintain their stated mission, deliver on its promise with the integrity, and embrace change and continuous improvement. But the next step is up to you. We have certified consultants, the largest team in the industry in fact, at-the-ready to learn about your business, your challenges, and to help determine whether your business would be a good candidate for a system upgrade to SAP Business One.